The ultimate high heels foot saviour has arrived! Feel heavenly on your heels for longer again with NINE TO FIVE heels. Ranging from size 3 to size 10, these insoles cater for most sizes of court and stiletto shoe, and will fit and work in any height of heel over 1 ¼ inches (34mm)! Brilliant for ballroom and other high heel dancing. An innovative insole specifically designed for the high heeled shoe. The insole helps shift the centre of mass backwards slightly making for a more comfortable feel in the shoe. The NINE TO FIVE grips the inside of the shoe and does not slide forwards during wear. This device does not extend into the forefoot area as this is already a pretty tight space! As an added bonus, the NINE TO FIVE gel insole is scented with peppermint oil, an essential oil well established in making feet feel fresh. For as long as there have been high heels, wears have suffered foot and leg aches and pains in high heels. Usual medical advice was to ‘stop wearing them’ and little could be done to help. That high heels are detrimental to our feet and bodies, but just not wearing them is not always an option with certain occupations still demanding their use, and ballroom dancing wouldn’t have quite the same glamour wearing pumps! Then there is that wonderful look and feeling you get in heels on a special occasion. The ultimate high heels foot saviour has arrived! 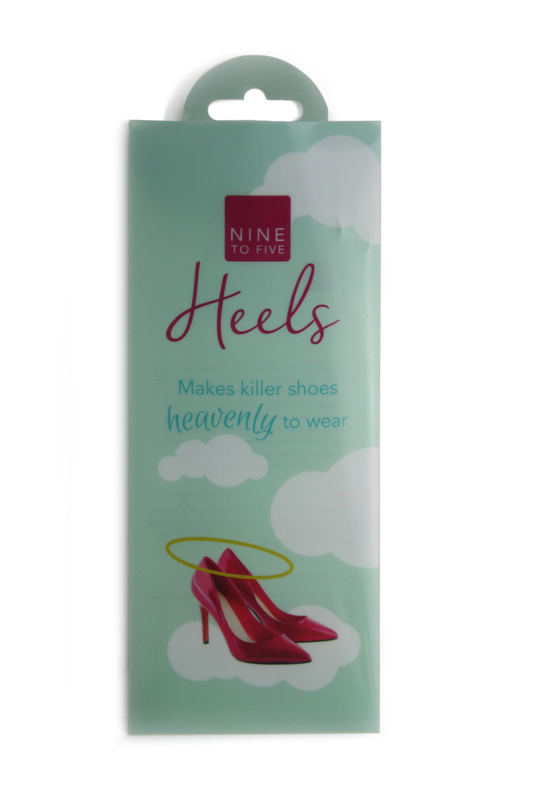 Feel heavenly on your heels for longer again with NINE TO FIVE This is not a gel pad that just makes your toes feel tight unlike what is generally sold for high heels. This is very careful engineering. From a clinical need to protect ballroom dancers podiatrist Andy Horwood worked on an insole from the early 1990’s and working with HealthyStep, materials were developed to product an insole that reduced pain and protected the foot from some of the deleterious effects of high heels. Is there more I can do to help my feet in high heels? Regular calf stretching and toe exercises after using high heels can reverse a lot of the ill effects of using high heels. See the exercises we recommend. High-heeled shoes are really tough on the feet! HealthySteps Heels will help improve foot function and help protect you from discomfort in the forefoot. However, you’ll need to do more to help your feet cope with the high-heel stress and strain. Simple rehabilitation exercises are incredibly important and will reinforce the effect of the NINE TO FIVE heels These exercises are picked to help your toe flexor muscles that get rather beaten up in high heels. By exercising and strengthening the foot it is possible to help to keep you wearing your heel for longer with less discomfort. By using NINE TO FIVE heels and exercises your feet will recover far quicker after wearing those killer heels. 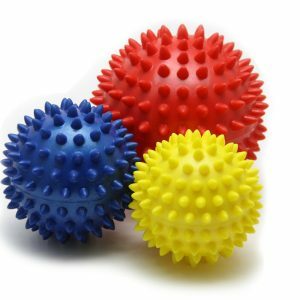 In particular try using HealthyStep’s foot therapy balls. The toe flexors become stronger allowing the foot to grip the floor during walking taking some pressure off your forefoot.